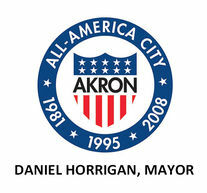 he Akron Arts Expo weekend is one of the City of Akron’s premier events. Over 30,000 patrons join us year after year, and you’re invited to come and experience everything this exciting weekend has to offer. The weekend kicks off on Thursday with Taste of Akron. It features fabulous food sampling from area restaurants and food trucks. On Friday evening we host our Beer & Wine Tasting fundraiser! Friday features an all-inclusive food, wine and beer tasting along with live music and raffles. All proceeds from this event benefit the Akron Arts Expo artist awards, the children's interactive area and performing arts. The Akron Arts Expo draws eager art enthusiasts from all over the area on Saturday and Sunday. The Akron Arts Expo has something fun for everyone!